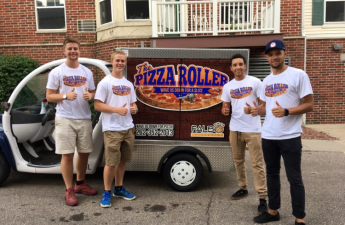 A month into the academic year, and food trucks in Madison have reported an recent increase in theft. Jaeryn Smith, owner of Slide Food Cart had just finished serving lunch for the day at the cart’s location on Capitol Square. She parked the car and unloaded all of the food off the truck to be stored. When they turned back to their cart, its windows were smashed and the money box inside the cart had been stolen. Smith has cited three to four thefts at their kitchen within the past two months. “The crime happening surrounding the food trucks is something I think is being missed,” Smith said. 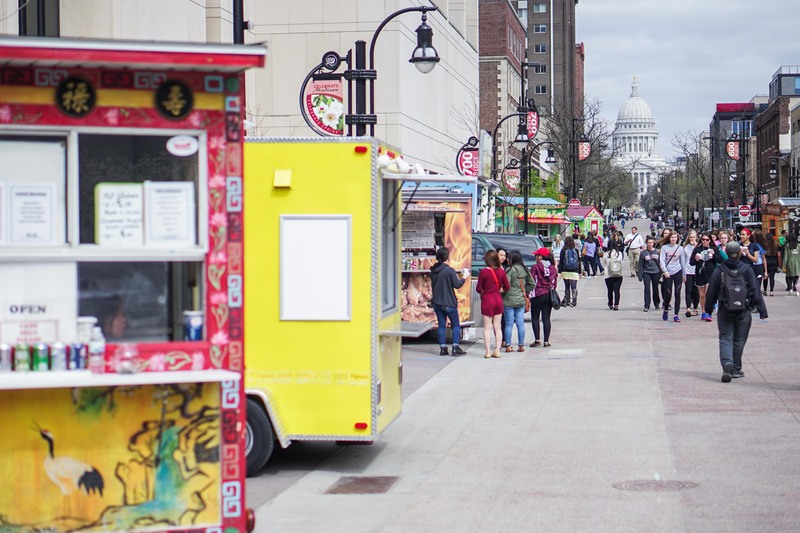 Over the past few months, several Madison food carts have been targets of theft, Meghan Blake-Horst, Madison’s street vending coordinator said. Not only have tip jars been snatched — so have vehicle generators. Madison food trucks are an important staple for many Madison students and residents, as they provide catering for special events, come to local businesses for lunch and frequent neighborhoods to serve residents. 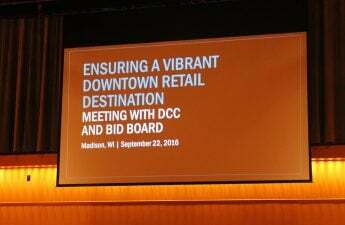 The food trucks have an impact on the Madison economy as well, Blake-Horst said, as small business owners give back to the community because they are most likely to also spend money locally, thus strengthening the economy. “People who come to us are people who really care about small businesses,” Smith said. Many Madison food cart operators will take up extra precautions when it comes to securing their carts. The Slide Food Cart now has two locks, and a special lock for the hitch to ensure no one can hitch up the cart and take it away.